For most of 2018, there was a two-way battle between Apple and Amazon to see which of the two would be the first U.S. publicly traded company to be worth one trillion dollars. Though Apple was in the lead, becoming the most valuable exchange-traded company in the world, some analysts extrapolated Amazon's 300% move from its 2016 bottom and figured that the creator of the smart speaker category would hit the tape first. But on August 2nd, just days after Apple reported a strong fiscal third quarter, the company's stock finally reached a market capitalization of $1 trillion. Almost exactly a month later, Amazon also was valued at $1 trillion. But since then, both companies have seen their shares hit hard by sellers. From its peak, Apple's shares have dropped 32%. As trading concluded for the year, Apple is valued at $748.5 billion. Since its highwater mark, Amazon's shares have dropped 27% and the company is now valued at $734 billion. So which tech company will end 2018 as the most valuable publicly traded company in the world? It is Microsoft. The software giant's shares finished 2018 valued at $780 billion. 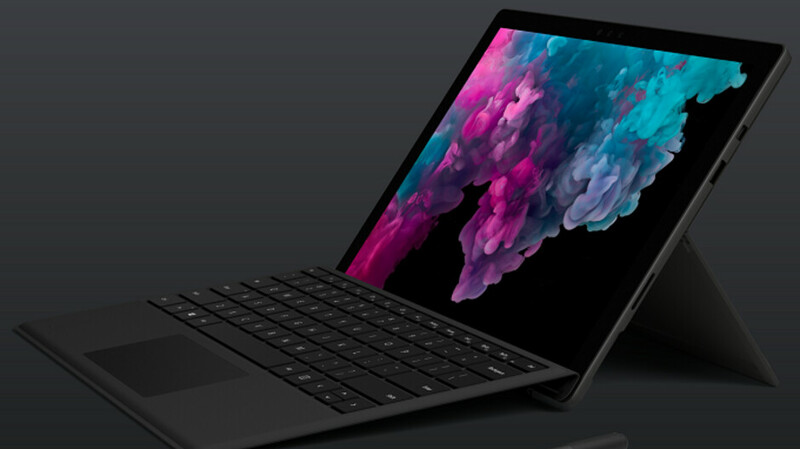 This year the company launched its Surface Go tablet, and the Surface Pro 6 tablet (see image at the top of this article). And while its participation in the smartphone industry is muted at the moment, Microsoft came out of nowhere to top Apple and Amazon. As I predicted. Microsoft has risen up, back to the spot they deserve. Surface phone for the win! Surface phone. What apps are available? Oh, that's right, it only the current set of Windows Phone apps. Surface phone for no win. Can’t wait for the surface phone if that is ever going to exist. Make it happen MS. It will be another Microsoft mobile flop. Microsoft better get with the times and add usb-c to their surface line.. hopefully the leaks are true. The meteoric rise of Amazon has been impressive but for Microsoft to just be consistent in their delivery of good products and services to become valued at such a high sum deserves credit where due. I'm actually convinced to NOT buy any other product that ISN'T a Surface in the laptop / tablet department... It has been 2 years of innovative, versatile, top notch product with awesome customer service. There are bound to be some hurt feelings over this news...and some gleeful Apple haters throwing a party. "This year the company launched its Surface Go tablet, and the Surface Pro 6 tablet (see image at the top of this article). And while its participation in the smartphone industry is muted at the moment, Microsoft came out of nowhere to top Apple and Amazon." The hardware isn't really the reason for this strong comeback on Wallstreet. Microsoft is having a great year in cloud services but also their Azure services are really taking off in the Enterprise. They have a strong thing going on with Microsoft Teams & Sharepoint as well. All windows mobile needed was more apps. The OS was actually pretty darn awesome and flat like iOS. Yea but no consumer wanted it to be supported now years laters everybody want a new platform competitor to google android since apple has become lazy in updating ios with features.I was on msft side but nobody give a damn about it even msft itself so I move on but now let wait and see surface phone is real or not. Microsofts influence in technology and humanitarian charity and development on a world wide scale is and has always been exponentially greater than Apple, you cannot compare a Rotten GMO Apple to An Organic farm. Plus the only reason Apple and Amazon have been listed as higher net worth as because Bill Gates and Microsoft have been giving billions of dollars towards charity (or food, and education, more affordable tech, Bill and Melinda foundation etc). Can imagine how make weather they would be if they were not kept that money. Not sure I give MS anymore money. Desktop is a mess. Xbox not getting good games. I use there products at work and really don’t won’t to touch them when I get home. Hypocrisy is real in u when apple do something wrong u give it a pass but when msft or google products(leaving other android vendors aside)do or had done something worst u start to complain. I use their products at work and home as well and I don't recognize the desktop is a mess thing. Sure it's a bit dualistic because of having to support legacy software and stuff. But overall is pretty clean and works well. Waiting for that foldable surface phone with 7000mah battery in 2019. Awwww that's so sweet. Who cares? People that own M$ stocks do, but anyone else? M$ still has some fans after they mess everything they touch? Well to be fair everything but Surface. They do not even care for their "testers" feedback and they release broken updates !three times in the row! Good for them, good for us? I don't think so. Don't get me wrong I want M$ to succeed, succeed by releasing good products and listening to their customers.